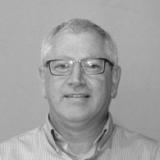 Andrew has more than 30 years of experience in Software development. Including stops at Bell Labs, Draeger Medical, and Foundation Medicine. He lived & worked in Europe, Asia and North America. Currently focused on improving Software quality (and thereby, compliance) in medical devices and bringing security into the mainstream of SDLC practices. AAMI member and co-author of TIR57, member of IES/ISO JWG7 committee working on the next edition of 62304.